This feature allows user to access it's customer's information and transactions online. 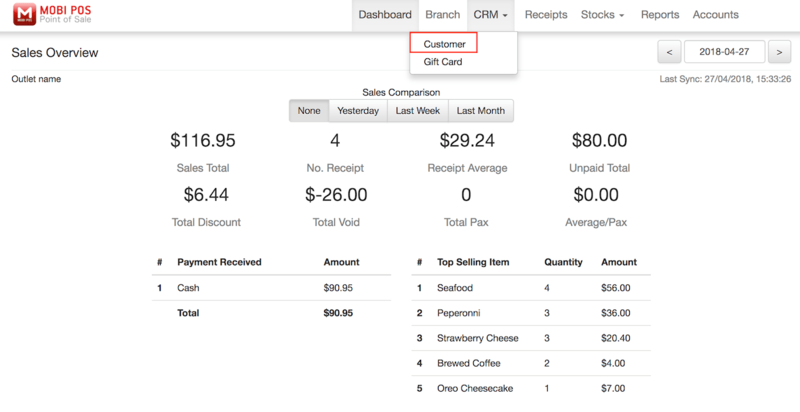 To use this feature, login to MobiPOS CloudSync, then go to CRM -> Customer. The Customer page will be as shown below. All the customers list will be shown at the left. 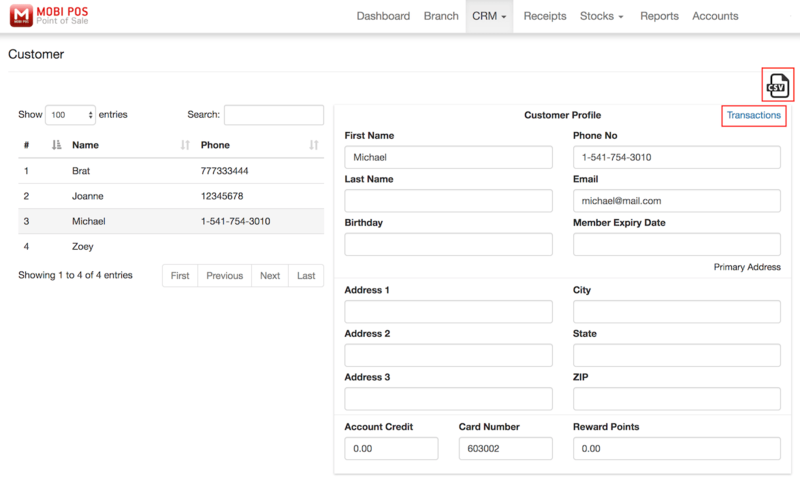 Upon selecting the customer's name, the customer profile will be shown on the right. To download all the customers information, just click the CSV icon at the top right corner and the customers information will be downloaded in CSV file format. In the customer list, only name and phone number is displayed. 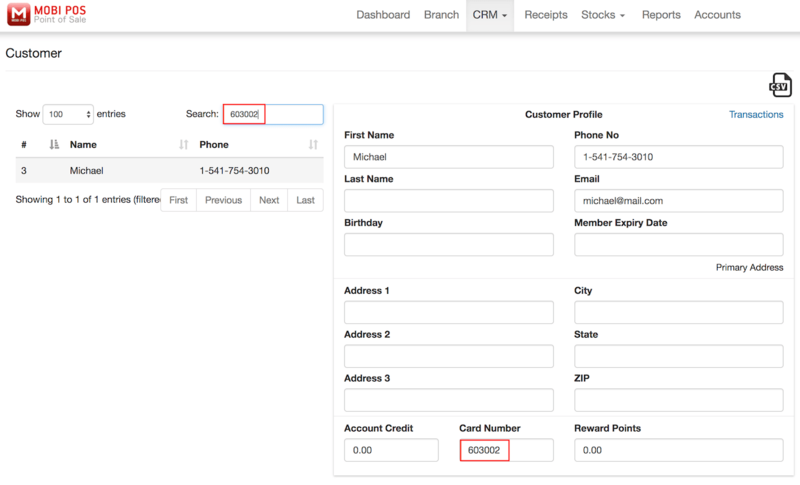 However user can search customers according to their profile (registered first name, last name, phone number, email and card number) in the Search column. Customer list will be filtered and listed according to the related information searched. 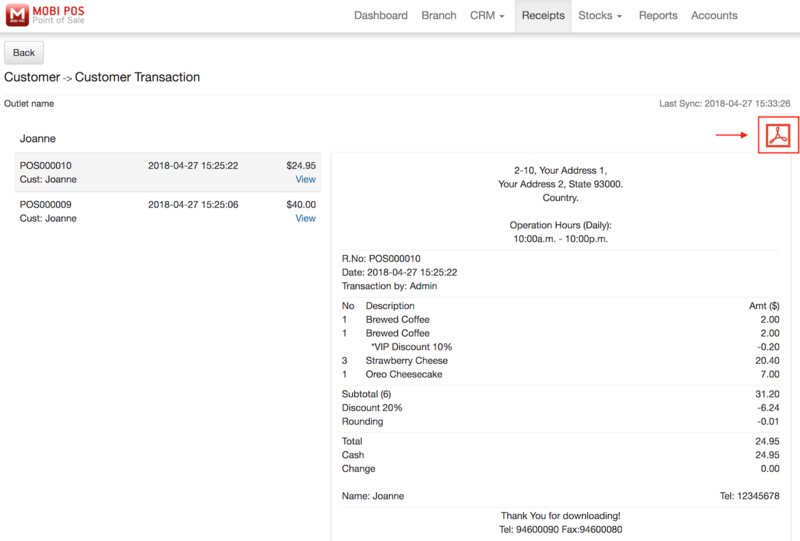 Transaction history for every customer can also be accessed by clicking Transaction under the CSV icon as shown on the second image above. All the transaction history for that selected customer will be listed at the left along with receipt number, date and time of transaction and also the amount of each transaction. To see a selected transaction, click View for the desired transaction and the receipt will be shown on your right. Receipt can be downloaded in PDF format by clicking the icon shown at the top right corner.